Tech N9ne’s official F.Y.E. in-store appearance for the release of All 6’s And 7’s takes place today from 3pm-9pm in Independence,MO. 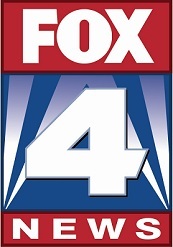 Fans who are not able to attend the in-store can catch the madness on Kansas City’s FOX 4 News at 6pm, as they shot exclusive footage of the event in progress. With Tech N9ne’s All 6’s And 7’s officially out, the special in-store signing promises to be full of surprises. Don’t miss all the action on FOX 4 News at 6pm, as Tech N9ne and Strange Music celebrate the arrival of All 6’s And 7’s. Check your local listings. Don’t forget to pick up your copy of All 6’s And 7’s from FYE for an exclusive CD/DVD package not available anywhere else!